Top tourism sites in North Wales could soon have their own special bar code – even a castle. 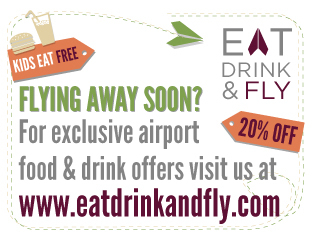 The hi-tech QR or quick response codes can be scanned with a mobile phone to swiftly direct a visitor to a website. The technology is being adopted by Tourism Partnership North Wales, who are responsible for the strategic development of the region’s visitor economy. They have included a QR code on a quarter of a million Great Days Out leaflets to be distributed across North Wales, the North West and the Midlands. The code can be scanned with a smartphone and direct the user to a website with up to date information about the attractions. 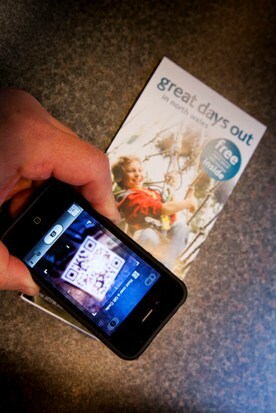 The QR code on the Great Days Out leaflet directs smartphone users to www.gonorthwales.co.uk. The code is read by an application either already on the smartphone or easily downloaded to it and which can also be used to create QR codes. QR codes were first developed in 1994 in the car industry to track vehicles on a production line but they are now used much more widely including for entertainment and transport ticketing as well as for product marketing. Users with a camera phone equipped with the correct reader application can scan the image of the QR code to display text, contact information, connect to a wireless network or open a web page in the telephone’s browser.